Cruising, luxury, and kids…Probably words you never consider putting together when planning a family vacation. But, don’t be too hasty. 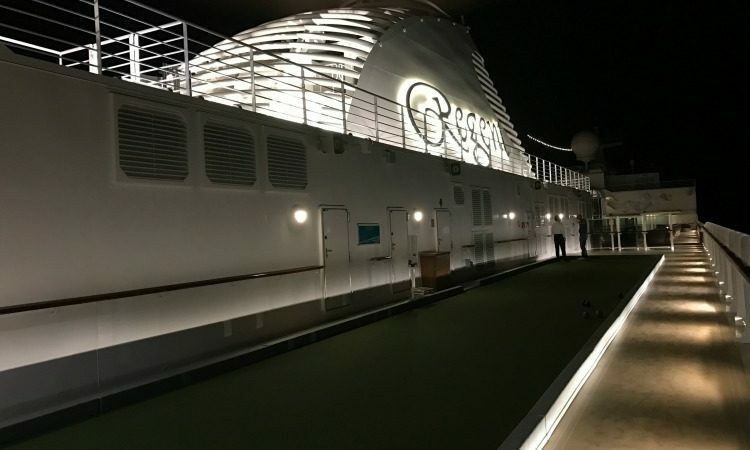 While it may not be the ideal vacation with a 2-year old in tow, a recent mother and teenage son adventure on the Regent Seven Seas Explorer convinced this traveling mom that it’s a good mix. All you need is an adventurous spirit, the right ship, and a luxurious, but not stuffy atmosphere, so the kids feel right at home. 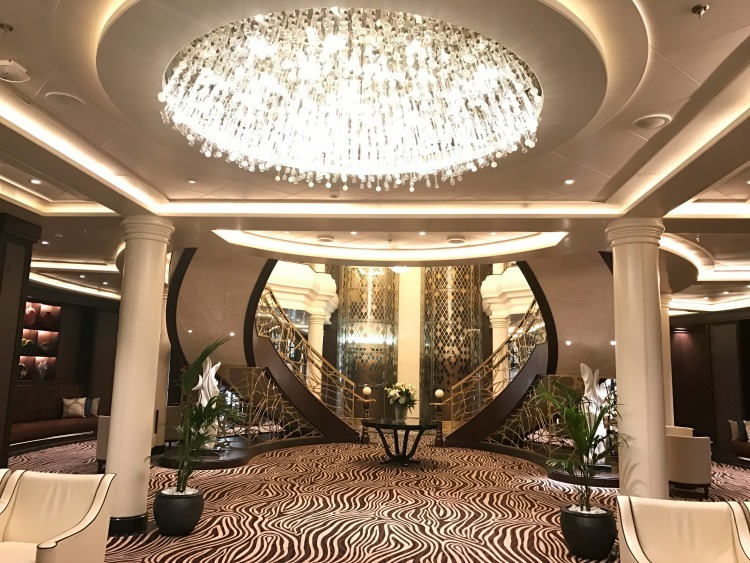 When I had the chance to check out the Regent Seven Seas Explorer luxury cruise, I grabbed my 16-year old son to share the adventure for a little mother/son bonding time. What made it so attractive? It’s an all-inclusive cruise, which means I don’t have to be bothered with paying for every little thing including unlimited free shore excursions with educational opportunities for the family. Add to that a trip where luxury is an everyday experience and hey, we’re there. 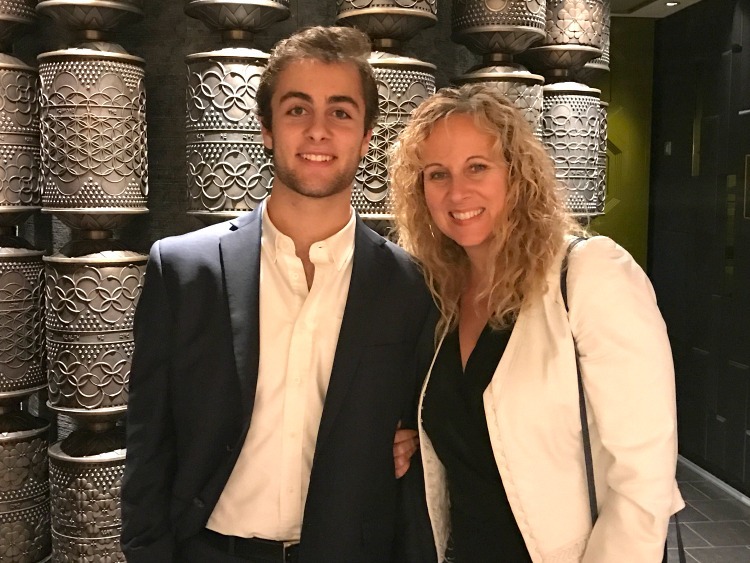 A Mother-Son getaway on Regent Seven Seas. Photo Credit: Kim Orlando. Taking my son along also gave me a great opportunity to find out exactly what works and what doesn’t for kids. He really enjoyed our trip and even wished it would have lasted longer and that he got to do some of the excursions. That says a lot! While I’m not sure this cruise is ideal for the little ones, it definitely works for older kids. 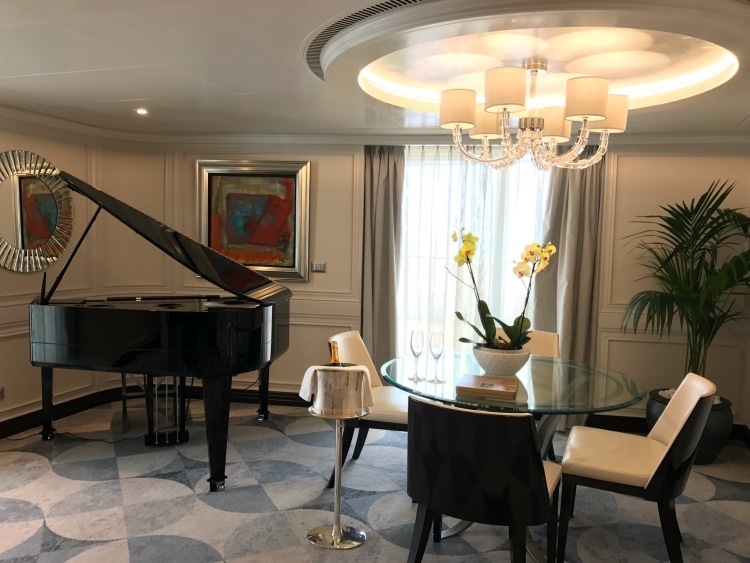 Launched this summer, the Regent Seven Seas Explorer is touted as the most luxurious ship sailing the seven seas with a $150,000 mattress and original Picasso and Chagall artwork. “Now in the Trump era, wealth is not something to be ashamed of. Success is not something to hide or defend and this ship is a trophy to those who have succeeded in whatever walks of life they have succeeded in,” remarked CEO Frank del Rio. If luxury is your mode of travel but cruising has not yet made it into your travel plans, this ship may just change your mind. All-inclusive, which besides food and beverages includes items like excursions, gratuities, and yes, wifi. At the Upper Suite level and above, it even includes airfare and a butler. Ability to buy into the class of suite that fits the amenities you want or meets your budget. All-suite accommodations with balconies, so there’s plenty of space with all luxury amenities, including a personalized mini-bar. The size of the ship and having only 375 suites makes it both more intimate and easy to get around. It also means no lines or waiting and they have easier access to ports of call. Not having huge amounts of food sitting out all day long. While there was grill food available at the pool, it was not non-stop eating. Creating a casually, elegant atmosphere. Art- The ship definitely has an art focus from the Art Walk to the Picassos to the art-infused suites. They have plans to really expand this amenity and add an educational aspect. Culinary Arts Kitchen – Not only can you take cooking classes on board, but you can go on an excursion with the chef to restaurants at your destination. Very cool and something different. Excursions- There are actual amazing shore excursions and they are free and unlimited. But, you can even personalize excursions to suit your desires. You’re not just taken ashore and left to explore on your own. 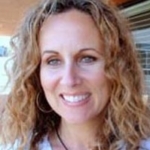 Lectures by Smithsonian Journeys experts. Space- Okay, this may not seem like much, but it really is – spacious walk-in closets in the cabins. 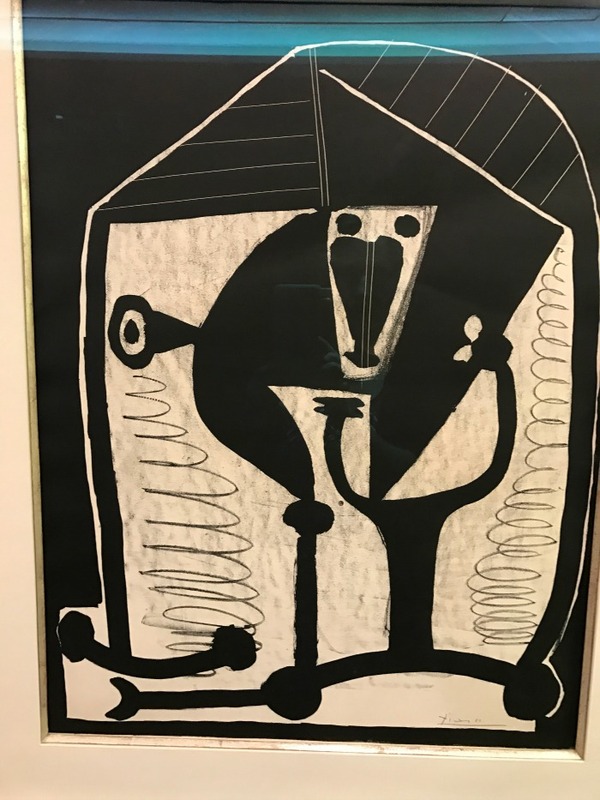 Service – While most of the service was exemplary, there were a few blips, like getting the wrong room service time and an issue I had trying to purchase a bottle of wine. Entertainment – Both my son and I found the 60’s review show, My Revolution, to be disappointing and not to our taste. Spa – Not having any treatments included with the cost of the cruise was disappointing and I found them to be quite expensive. They wanted $43 for a haircut for my son. And while very nice, it seemed on the small size and didn’t offer anything new and interesting. While I love that they pick you up at the airport, I have to say they were a little hard to find. Unlimited free excursions and we’re talking visiting castles and UNESCO World Heritage Sites. 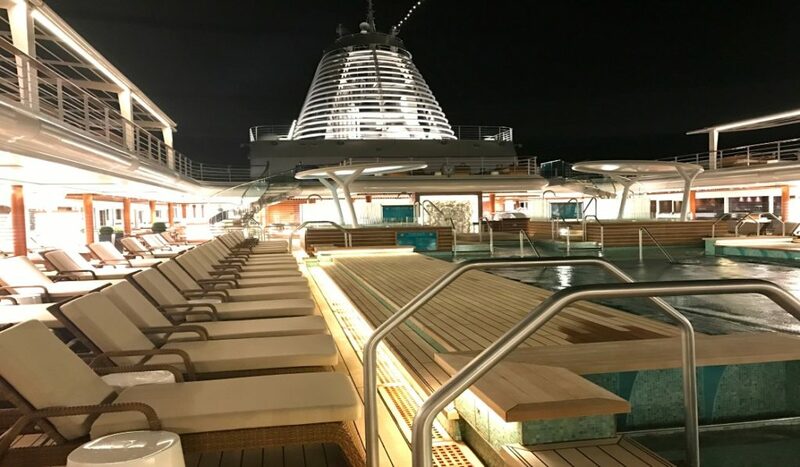 Even without the excursions, my son found plenty to do to occupy his time, including activities on the Sports Deck, unlimited free movies, and hanging at the pools. Educational opportunities abound during the cruise, including lectures from Smithsonian Journeys experts. Having the opportunity to try new experiences and spend quality time as a family. There are no kids’ clubs or specific programs geared for kids. All infants must be at least 1 year old. There are no child care services, which means if you don’t have your own sitter, the kids are coming with you to all dinners. Kids under 18 must stay in your room. The casually, elegant atmosphere may not be for families with little ones who love to run around and be very active kids. The ship is brand new so you’d expect it to be pristine. Well, it is that, but it’s also stunning and of obvious high quality. 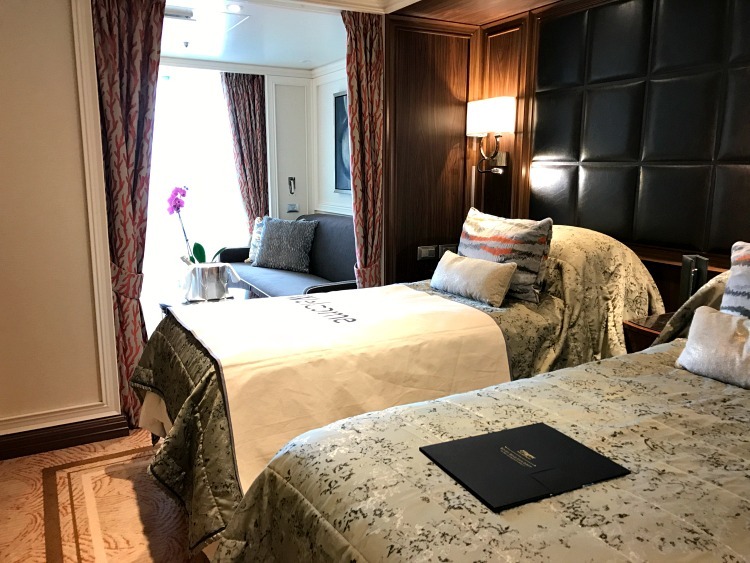 Most people think of being on a cruise as traveling with at least 3,000 other people and staying in cramped quarters, but that wasn’t my experience on the Regent Seven Seas Explorer. It only accommodates 750 guests, so you’re not bumping into each other or fighting over pool chairs. While it is a large cruise ship, it never seem overwhelming or difficult to navigate. At the Concierge level and above, you’re provided not only ground transfers from the airport to the ship, but a free luxury hotel package for the night before you embark. You get bag tags with your sailing documents a few weeks before the trip and so, once you arrive, you just leave your bags at the entrance and find something to do before your room is ready. At higher levels, you can get into your room early and not have to wait until mid afternoon to have access. Happily, there were no lines waiting to get on board. The debarkation process is very similar; your bags are picked up outside your room and taken to your transportation for the trip to the airport. There are several classes of cabins, but all are suites. The big differences are in available space and services, such as a butler. My son and I stayed in a Concierge Suite and I requested twin beds. We certainly had plenty of space, plus the private balcony gave us tons of room. I’m just not used to a twin bed! While the cabins are well-appointed with the expected luxurious amenities – soft, plushy beds, bathrobes, stocked mini-bar, L’Occitane products, interactive flat screen TV…I’m going to get to my favorite feature being a mom traveling with her son – a spacious walk-in closet. While he was still in bed, I could go change in the closet and have some privacy and not wake him up. Genius! Of course, a ship of this caliber comes fully equipped with a Canyon Ranch Spa, a pretty spectacular gym, a Culinary Arts Kitchen, the Constellation Theater, high end boutiques, a sports deck, casino, library, pools, and a card room. We saw only one show, but on typical cruises, you will find more, along with cabaret performances, live music, and dancing. There are multiple, elegant lounges to enjoy a cocktail and even afternoon English tea. There is also an Observation Lounge with floor to ceiling windows and incredible ocean vistas. I took a cooking class while my son hung out on the Sports Deck, which turned out to be a cruise highlight for him. He met the most interesting gentleman who taught him how to play Bocci Ball and let him practice his Italian. I was thrilled that we not only found activities we enjoyed doing together, but some that we could go off and do on our own. It was nice that the cooking classes catered to all levels of aptitude, so no one felt intimidated. The classes range from healthy eating to Italian to French and are normally inspired by the destinations visited during the cruise. But, they are not included and do cost $89 per class. The Sports Deck offers a range of activities including ping pong, a putting green, and Bocci Ball, but I there was very little seating on the deck for admirers to just watch if they didn’t feel like playing. In terms of the dress code, they call it an elegant, casual dress code, which goes along with the atmosphere of the ship. For us, it meant no jeans after 5pm. My son loved getting dressed up, so it wasn’t a negative. During the day it was nice shorts, flips, and swim wear. I didn’t see people in blue jean cutoffs and old t-shirts. Breakfast and lunch is served buffet-style or you can grab lunch at the pool. Dining options are plentiful with 5 restaurants to choose from, each with a different cuisine. One advantage on the Explorer is that you can dine whenever and with whomever you want; no assigned dining times or mates. One disadvantage, unless you are staying in a top suite, is that you can only book one reservation per specialty restaurant during the trip, although you can try and change once on board. This is done so that everyone is able to get into each restaurant. We tried as many of the restaurants as we could and I would say our favorite was the French food and wine at Chartreuse, which was phenomenal. 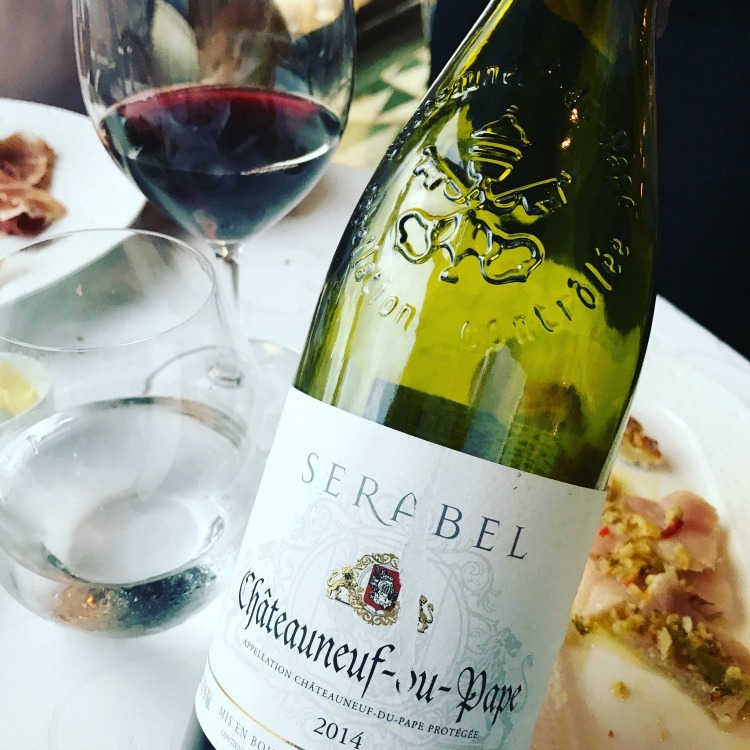 My son sampled duck pate and fried foie gras and I enjoyed the Chateau Neuf de Pape. The three ton authentic Tibetan prayer wheel in front of Pacific Rim sets the tone but I found the Asian food options to be a bit too heavy. Our dining companions enjoyed their beef dishes and for me, the best part was watching my son being adventurous, trying dishes we don’t normally have at home. I think I’ve covered many of the amenities, but the biggest take away is that they really vary depending upon which suite you are in and may include things like early embarkation and the ability to book activities and dinners in advance. The ship will sail to locations in Mediterranean and European countries, along with the Caribbean. While my son and I did not take any excursions on this cruise, normally, you can select from a wide range of free shore excursions and if you want to pay, you can even get tailor-made pre and post cruise programs. Most unique to this ship is its Gourmet Explorer Tours, which allow you to savor the local flavors and culinary culture. While the staff to guest ratio is 1 to 1.5, which is amazing, service was probably the one area that I felt was not up to the “exceed my expectations” standard yet. We experienced a few misses, but I’m giving them a bit of leeway as it’s a new ship and still may need to get a few more voyages under its belt. Now, of course, you are paying for this luxury. At the lower end price range, your room category and included amenities, will reflect the price. Regular fares range from $6499 to yes, hold on, $80,799 per person. Right now, discounts are available on select voyages for kids under 17. One example is the 7 night trip from Stockholm to Copenhagen for $999. For their inaugural voyages, they are also offering special deals, like 2 for 1 fares and free airfare with all cabin levels, so be sure to check the website, because these are amazing savings. Gratuities are included, which is a nice perk but it’s always nice to leave extra for housekeeping. In addition, at this level of expense, purchasing trip cancellation insurance is probably wise. It sounds like you and your son had an amazing time. How lucky to get to spend time like that together! I like smaller cruises, so this is one I will definitely check out. Plus, I’d love to see some of the artwork. That’s usually not something I associate with going on a cruise.